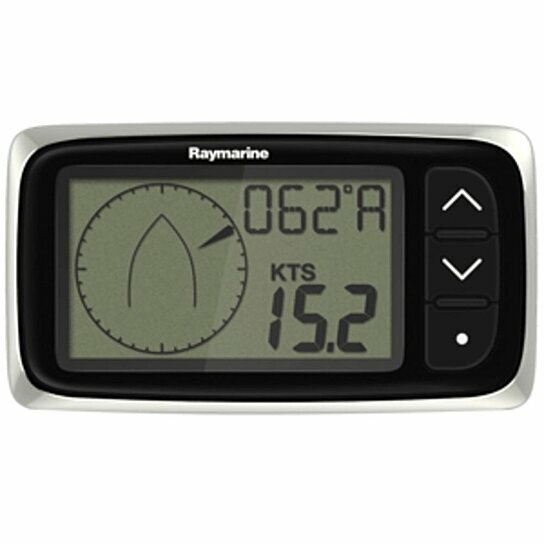 Raymarines i40 Wind Instrument is a compact solution that is ideal for small cruising sailboats or powerboats. The compact i40 Wind display features an easy-to-read digital readout for wind speed, and a virtual analog needle display for wind direction. The i40 Wind Instrument is available as a complete system with Raymarines unique Rotavecta masthead transducer, or as a display-only kit for repeating your wind information at a remote location onboard.